The Commercial & Industrial Lighting Program offers opportunities for members to improve their energy efficiency, to experience cost savings, improve their lighting, and reach their conservation goals. 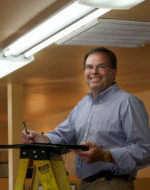 Bonneville Power Administration and Flathead Electric Cooperative sponsor the Northwest Trade Ally Network for Commercial and Industrial Lighting (NW TAN), a regional resource providing free training and support to facilitate electrical supply shops and contractors working together to deliver lighting efficiency projects. Energy efficient Heating Ventilation and Air Conditioning (HVAC) provide the same cooling and heating capabilities as their standard counterparts while consuming less energy by integrating high-efficiency components and controls within their systems. Commercial HVAC measures are currently available for a variety of energy efficient HVAC technologies with new programs being developed. 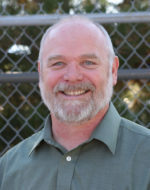 Air Northwest is sponsored by Bonneville Power Administration and the Northwest public power utilities. Air Northwest is the premier resource for HVAC energy efficiency information in the Northwest. Members, known as Air Allies, receive exclusive educational opportunities and personalized resources that build the foundation to help them provide utility incentives to their commercial customers. Air Allies that have the latest information about commercial HVAC best practices and technologies are able to provide a higher level of customer service and energy efficiency expertise throughout the Northwest. Energy efficiency savings for commercial insulation is available for pre-condition wall, roof, and attic levels with very little (defined as R-0 to R-5) insulation value for electrically heated buildings. Energy efficiency savings for commercial windows is available for electrically heated buildings under 20,000 square feet. Pre-existing windows have to be single pane, single pane with storms, or double pane metal frame windows. Commercial kitchens in restaurants, hotels, hospitals, and institutional facilities use more energy per square foot than almost any other commercial facilities. In these locations, energy used for refrigeration, food preparation, and water heating can amount to almost 60 percent of total energy use. Savings from installation of high efficiency equipment can range between 10 and 30 percent. Flathead Electric Cooperative offers incentive reimbursements to members for installation of high-efficiency commercial kitchen and food service electric equipment, including steamers, hot food holding cabinets, combination ovens, convection ovens, fryers and pre-rinse spray wash valves. All equipment must be new. Smart power strips are a conservation measure aimed at reducing plug loads of electronic equipment in commercial office spaces. BPA provides reimbursement for load-sensing smart power strips – strips that work by detecting changes in current from a control device entering low power or turning off. For example, a computer may be plugged into the strip as the control device. The power strip will sense when the computer enters sleep mode and shut off the other electronics plugged into the strip. The smart power strip is often used to reduce power draw from computer monitors, printers, task lights, and heaters when workspaces are unoccupied. Smart power strips offer a great, low cost way for commercial customers to reduce plug load and save money without major capital investments. Commercial new construction projects may be eligible to receive reimbursements through measures or the custom project process. Commercial buildings often have highly complex and unique systems and variable operations. Because of this high variability, many commercial energy efficiency measures are best approached as custom projects. Commercial custom projects encompass retrofit, expansion and new construction energy efficiency projects. This offering helps you acquire and install the most energy efficiency equipment available. Any measures not covered by the deemed measures are eligible to be submitted as custom projects if they meet the requirements. Don’t see your project type here? Flathead Electric can work with you to design a custom efficiency project to meet your needs.